It goes to show that when you get knocked down, you have to get back up again. 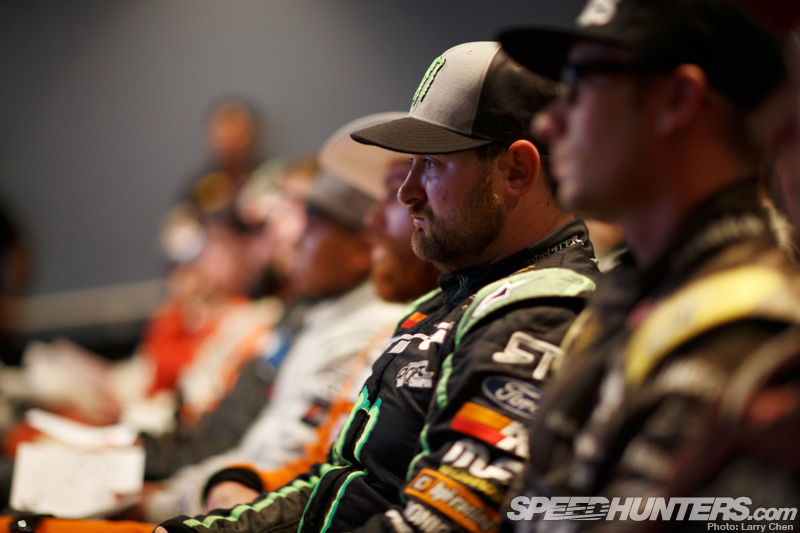 Our very own Vaughn Gittin, Jr. qualified first at round six of the Formula Drift Pro Championship at Texas Motor Speedway. 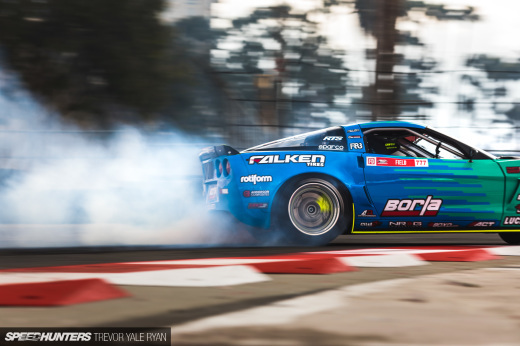 You guys may or may not have been following the controversy in the drift world regarding a penalty given to Vaughn’s team which caused him 30 championship points. 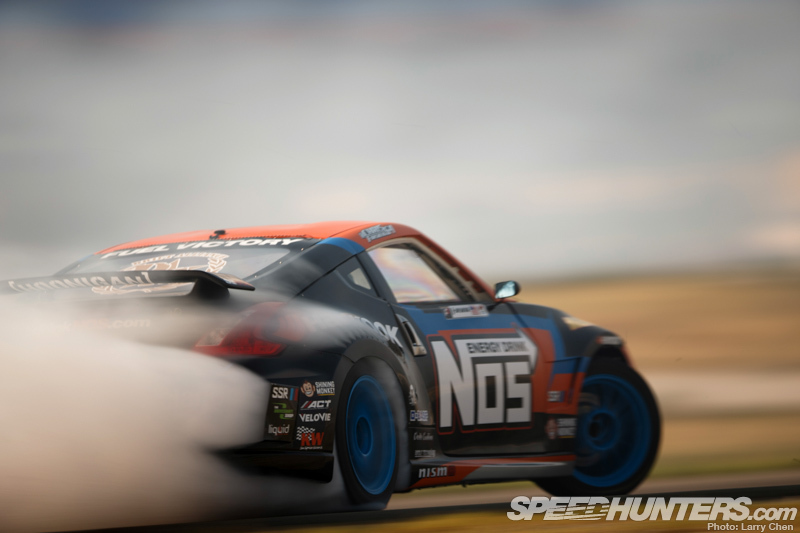 You can read about it in detail here on the Formula Drift website. 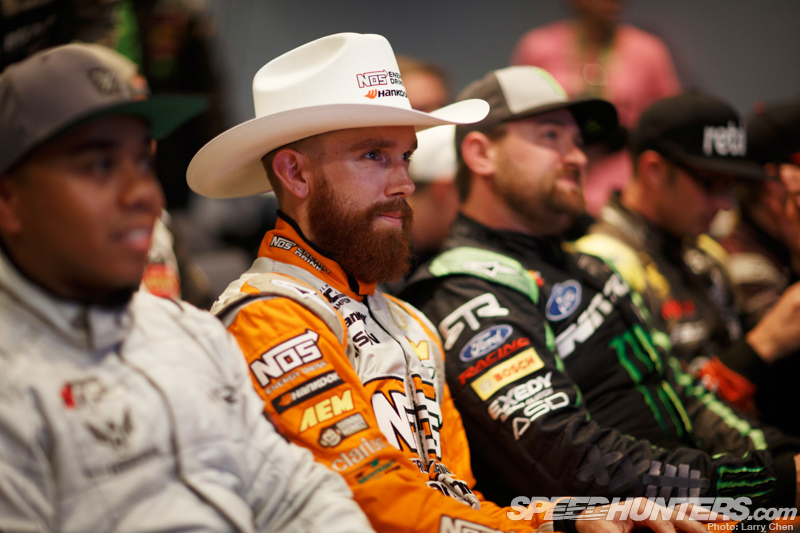 Either way Vaughn took it in stride, even though the penalty bumped him down from fifth to sixth place. His score of 92.6 was achieved with an entry speed of over 103 mph. 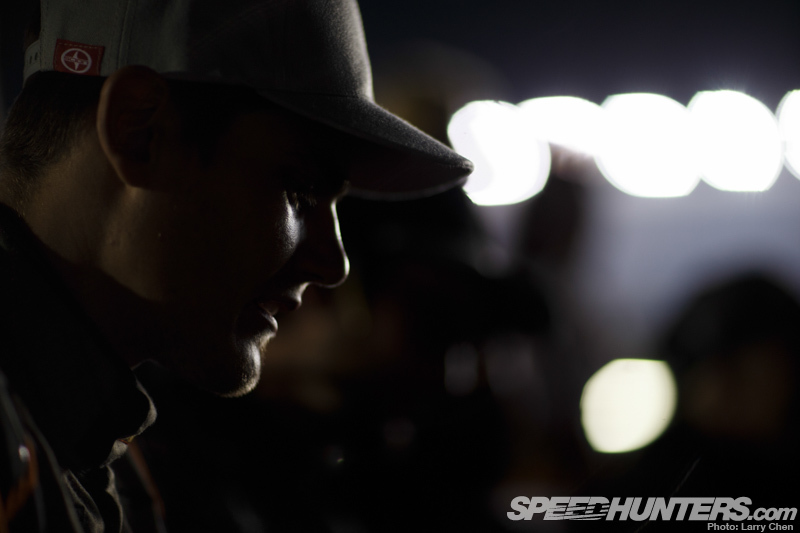 Second also went to a Speedhunters driver: Fredric Aasbø the Norwegian Hammer. Fredric has never been so close to earning his first championship as he’s sitting in fourth place. It seems the one who always beats him is himself. 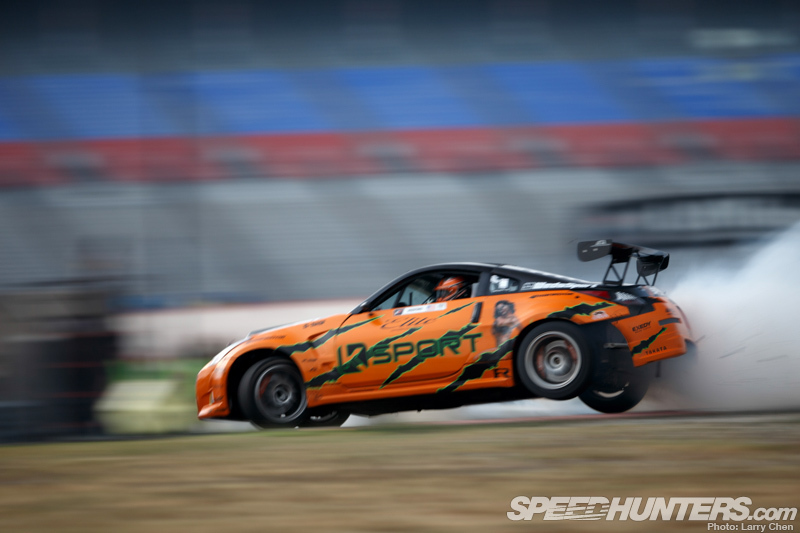 This may come as a surprise to you guys, but Fredric has never won a Formula Drift Championship event. With the Texas bracket I could see him meeting Michael Essa in the top eight. The third qualifying spot went to the championship leader, Chris ‘The Force‘ Forsberg. This year’s race for glory is closer than ever with just three points separating the top three drivers. Chris looked very at home on the long sweeping high speed track. His entry speed was just a hair under 100mph, but he kept his speed very high throughout the course, a little over one mile per hour faster than Fredric and Vaughn. This event will determine how close the race will be come Irwindale. There is a good chance the top three drivers will increase their gap with the rest of the field. If you check out the bracket you will see that Chris will have a tough time in the top 16 when he will most likely meet Justin Pawlak. Both drivers have two wins each so it can go either way. If Chris makes it into the top eight then he will most likely meet up with Daigo Saito. Here is where it gets tricky – both drivers have only met each other twice. They have one win each. 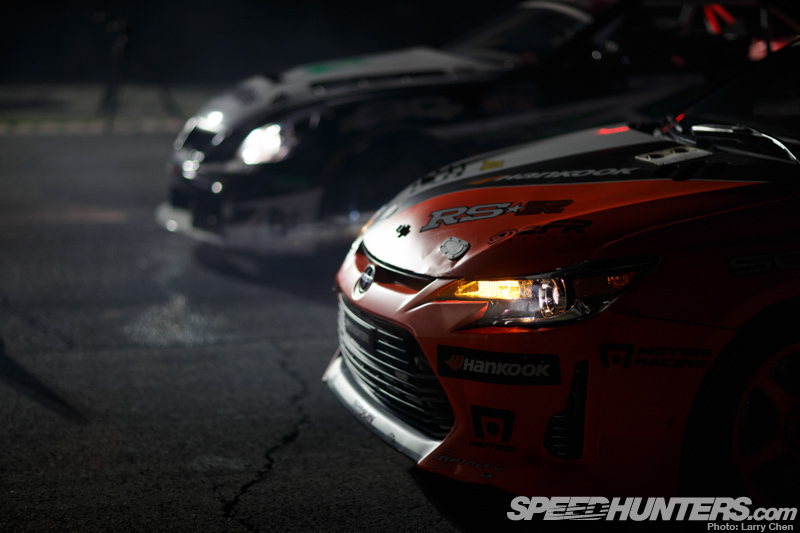 Daigo will definitely have to win this battle if he wants to take the lead for his second championship. On top of that Daigo had the highest entry speed so far with a 107.7 mph. I’m actually really looking forward to this battle, so hopefully it happens. 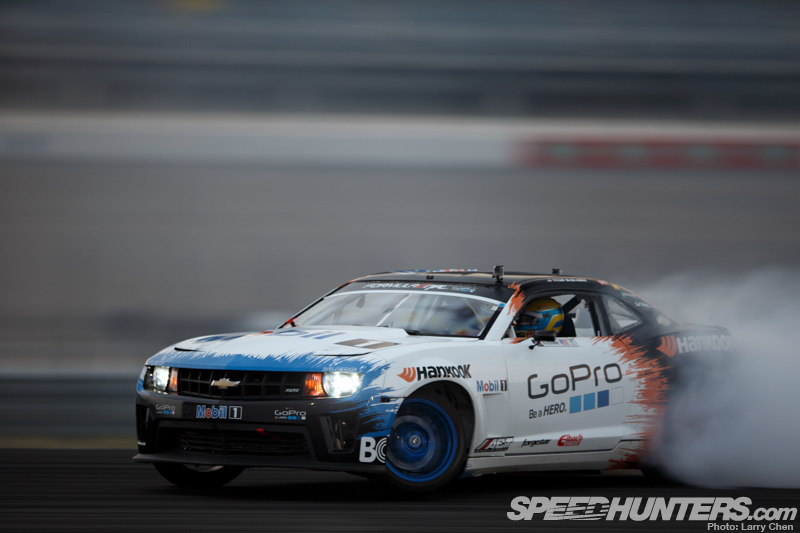 I’ve always liked watching Forrest drive and his S14 is one of my favorite cars on the grid. His entry speed was just 92 miles an hour, much slower than many of the other drivers who made it into the top 32 bracket, but he still had a very high score due to style, angle and line. Toshiki Yoshioka seemed to have been struggling all year with his BRZ, but after four events it seems like he’s finally dialed it in as he qualified in tenth position. There were a few notable names absent from the top 32 bracket. Including Darren McNamara, who was seventh in the championship standings. He will be bumped down significantly for not making it into the top 32. 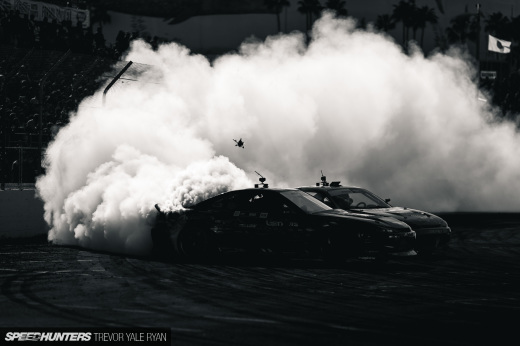 Also absent was Ryan Tuerck, who was just shy outside of the top 32. He looked great during practice, but it seems like he just pushed a little too hard on his qualifying runs. Also absent was Tyler McQuarrie. This was not his year, but I guess there’s such a steep learning curve with owning your own team. Vaughn seems to be learning that first hand as well. As usual there were a fair amount of spills and thrills, including a crazy jump drift performed by Corey Hosford. 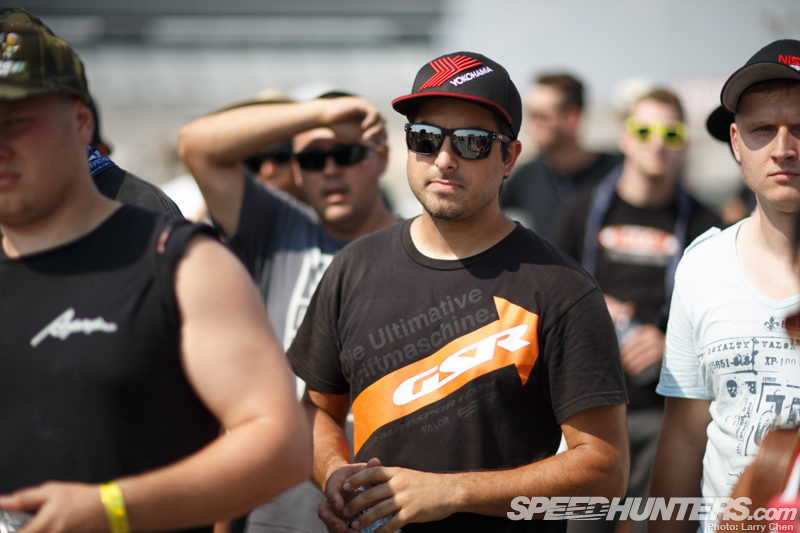 Mike Essa has such a good chance of taking his first championship, and as a privateer no less. 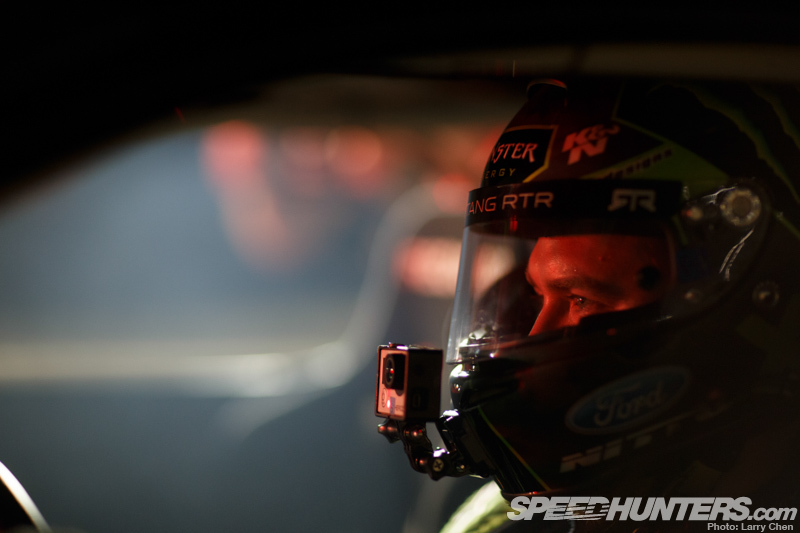 If he does get into the top eight which looks very likely, he will face Fredric Aasbø. Interestingly enough, they have only met once in battle and that was last year at Palm Beach in his BMW Z4. Mike won that battle, but we will see how he does in the BMW E46. Let’s hope that cowboy hat brings him good luck in the lone star state, because he’s going to need it. His side of the bracket is super stacked. It’s crazy because Forsberg and Daigo are going for their second championship. 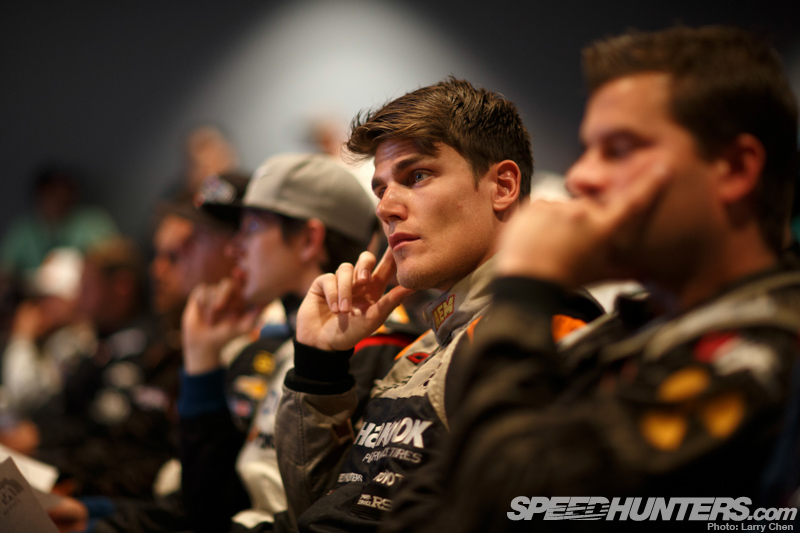 While Fredric Aasbø and Michael Essa are going for their very first one. There’s also a chance that we could revisit the Daigo vs. Fredric battle. Up until New Jersey of this year Daigo had never beaten Fredric, but now Fredric is leading two to one. Even with a huge points deficit, there is still a chance for Vaughn to battle his way to his second championship. He’s in a great position qualifying in first – on top of that he got a good head start in recovering some of those points. I guess we will have to see as the drivers battle it out on one of the fastest tracks they have ever drifted on.